Map of the Delaware River watershed, showing major tributaries and cities. 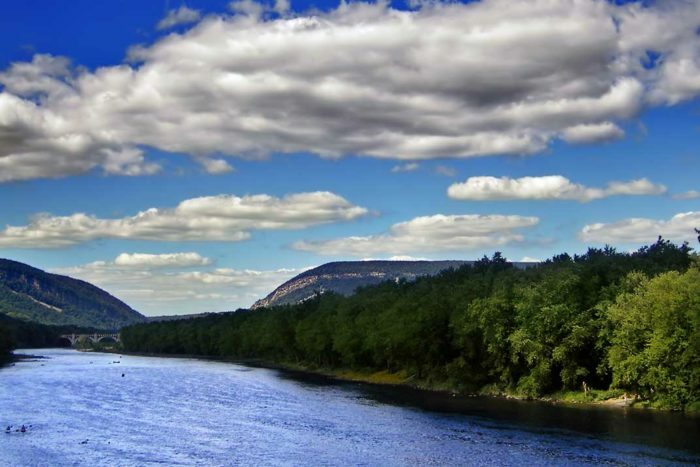 Steeped in history, dripping with scenic beauty, and essential to the existence of some of the most significant communities along the Eastern seaboard, the Delaware River undeniably contributes its share to the lifeblood of the nation. 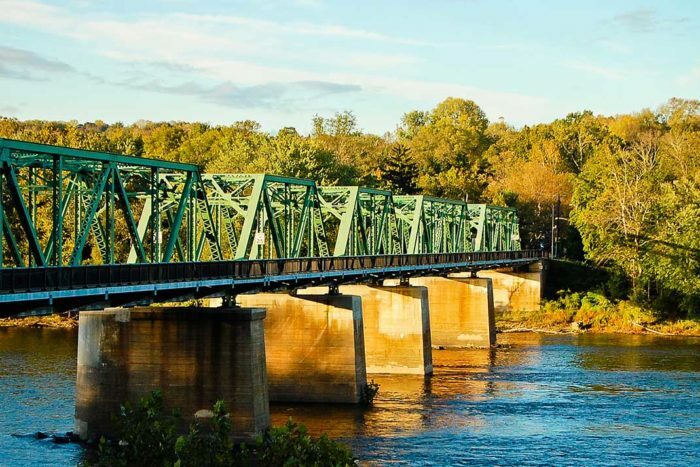 From Gen. George Washington’s celebrated Revolutionary War crossing near Trenton, upstream to the Delaware Water Gap National Recreation Area and into the forests and farmlands of its headwaters, the river offers something for everyone. 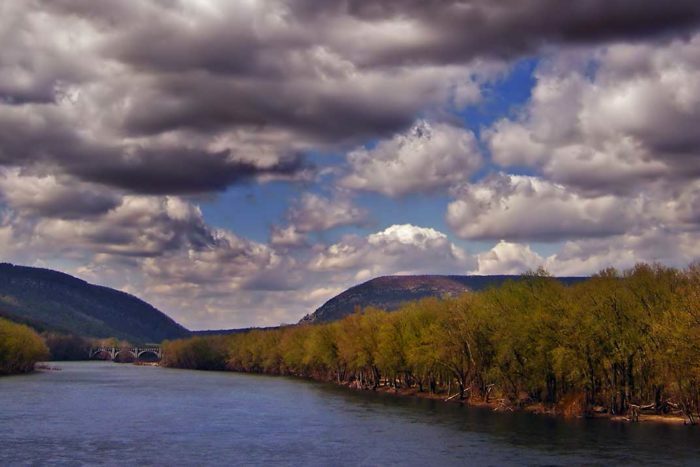 The upper Delaware was an obvious choice as one of America’s first Wild and Scenic Rivers. Since 1978, the 73 miles downstream from the confluence of the East and West branches cascading out of the Catskill Mountains have been formally recognized for their natural appeal and recreation value. 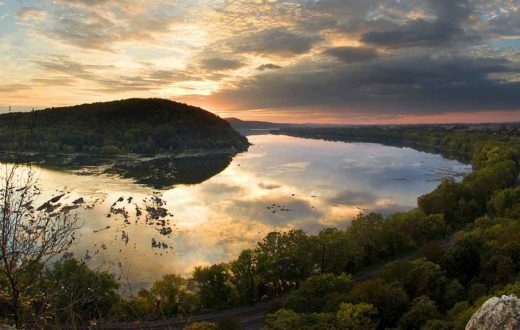 Undammed for the entire 330 miles of its main stem, the free-flowing character of the upper Delaware provides exceptionally clean water and superior ecological integrity that hosts wildlife in abundance. Mink, muskrat, beavers, white-tailed deer, wild turkeys, owls, bobcats, and otters all call the river valley home. More than 200 avian species along the Atlantic Flyway rely on the upper Delaware, and the watershed hosts one of the largest populations of wintering bald eagles in the northeast. Great blue herons can sometimes be seen hunting American shad that travel unobstructed between the upper reaches of the river and the Atlantic Ocean. The Delaware River is well known for its fishing opportunities. Combined with its tributaries, the river supports more than 60 fish species—popular game fish like Eastern brook trout, striped bass, and migrating river herring among them. That’s a big part of the attraction for more than 500,000 people drawn to the Delaware annually to boat, camp, hunt, hike, watch wildlife, or just enjoy the scenery. Clearly, people depend upon the Delaware as well. 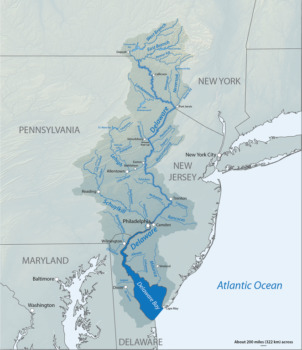 More than 17 million people get drinking water from the Delaware River basin, including two of the five largest cities in the U.S.—New York City and Philadelphia—as the river passes through 42 counties in five states. 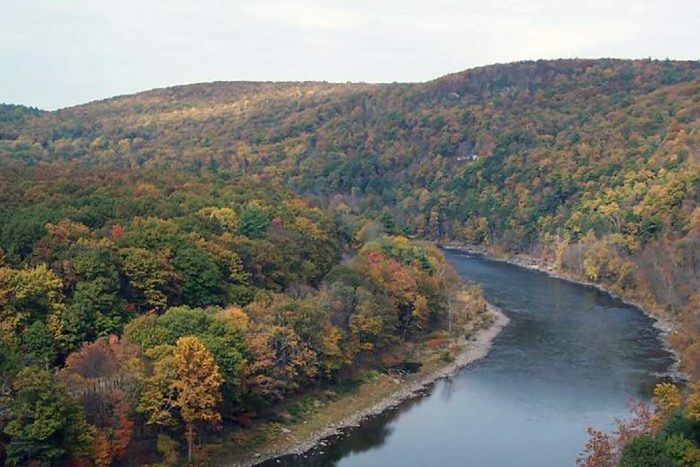 The river forms the boundaries between Pennsylvania and New York, the entire boundary between New Jersey and Pennsylvania, and most of the boundary between Delaware and New Jersey. The vast watershed (with an estimated 14,057 miles of streams and creeks) creates a varied landscape that changes dramatically between upper and lower. Far below the wooded, spring-fed headwaters and bucolic agricultural midsection, the lower, tidal portion of the river flows past the populous cities of Trenton, Philadelphia, Camden, NJ, and Wilmington, DE, and is home to the largest freshwater port in the world. There’s typically a toll paid for development, and the hard-working Delaware has not been immune. Impacts from logging and mining in the headwaters, commercial and industrial activity downstream, and the burdens of sprawling and increasingly dense populations have all required considerable management to overcome. 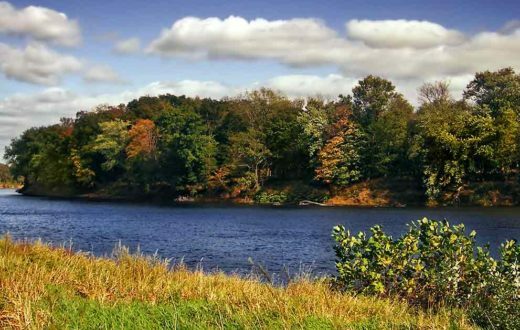 As a result, the Delaware River and estuary at Delaware Bay have been recognized as one of the premier water pollution control success stories in the U.S. These days, tourism is the largest industry in the region, providing jobs to 10 percent of the local population and $65 million to the local economy in Pike County, PA. In Sullivan County, NY, the year-round population more than triples on typical summer weekends, as folks seek out a place to play. 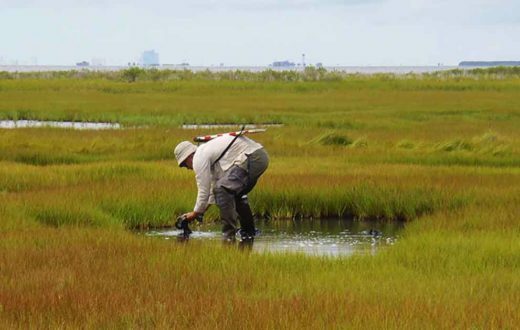 Overall, the watershed contributes $22.5 billion a year to the economy from recreation, hunting and fishing, water quality and supply, ecotourism, forest, agriculture, open space, and port benefits. The importance of connectivity remains a key part of the management plan, protecting headwater tributaries from the impacts of fracking as the river is restored downstream from historic mining damages. 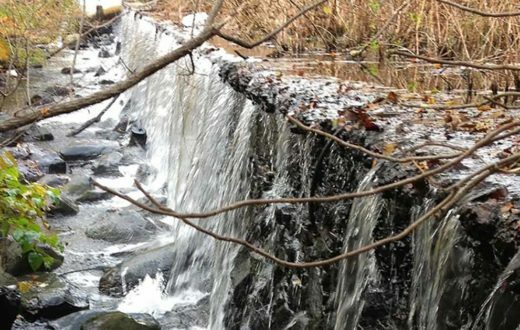 Tributary dam removal projects aim to further enhance water quality and potentially add to the watershed’s portfolio of more than 430 miles of Wild and Scenic River designation extending to the Maurice and Musconetcong Rivers in New Jersey, and the entire White Clay Creek in Pennsylvania and Delaware. Smart and sustainable management will be required if the Delaware River is to remain resilient to the challenges of natural gas exploration, aging water infrastructure, continued urban development, and climate change. American Rivers intends to be part of the solution, collaborating with the entire conservation community to increase awareness and federal funding for restoration in the basin, employ innovative policy to improve water quality and habitat, and help boost recognition of the importance of a drinkable, fishable, and swimmable Delaware River by local residents. Delaware River, Northampton County–Warren County line. Northeast view of the Delaware Water Gap. 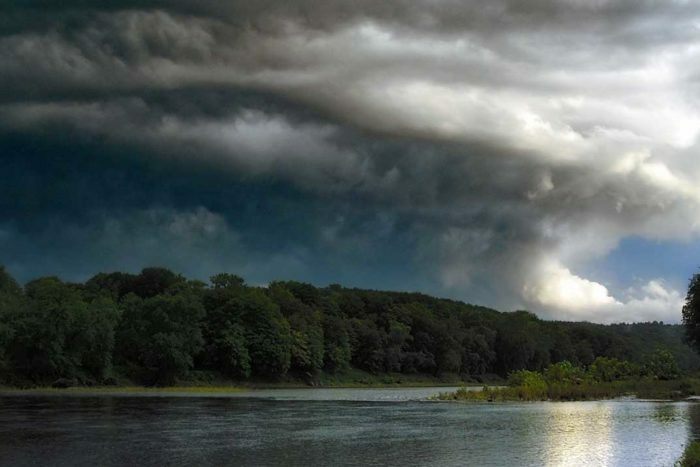 Nimbostratus clouds, Delaware River, Pike County–Sussex County line. The Delaware Water Gap NRA was the result of a failed plan to build a dam on river at Tocks Island, just north of the Delaware Water Gap, for flood control and hydroelectric power. Due to environmental opposition and dwindling funds, the government transferred the property to the National Park Service in 1978. George Washington's army crossed the Delaware on the night of Dec. 25-26, 1776, for a successful surprise attack on the Hessian troops occupying Trenton, NJ, during the American Revolution. The glowing neon sign across the river reading “Trenton Makes, the World Takes” originated from a 1910 Chamber of Commerce contest to sum up the city's manufacturing virtues.